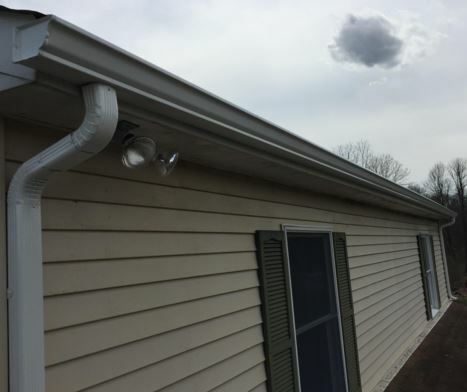 Here is a list of just some of the gutter services we provide in Beaverton, MI. Gutters act as protectors of the walls and basement of a house by taking care of the excess rainwater. Gutter Installation: Gutters are generally easy to install. When replacing the water channel, it is essential to check the soffit and fascia to ensure that its board is still undamaged. Aluminum Gutters: Aluminum gutters are products of cast aluminum, extrusions aluminum or marine grade aluminum sheet. These aluminum products are used to form aluminum gutter, its fittings, and accessories as well as gutter brackets. Aluminum gutters are suitable for new gutter installation, replacement, repair or even renovation. ​Fascia Replacement or Repair: The cost of repairing or replacing fascia, the board behind the gutter is dependent on two factors; the complexity of the installation, the number of levels and type of material used. The commonly used materials include UPVC, wood, composite, vinyl and cement board. However, plastics, as well as PVC, are being used nowadays in the United States.The average replacement cost is estimated at an average price of $2,300 with the lowest end being $600 and the highest being $6,000 for 250 linear feet home. Gutter cleaning Proper cleaning of gutters should be done every spring season. Other than rainwater, leaves can also clog the downspouts.The cleaning process includes;• cleaning around the downspout• removal of the possible trapped larger debris such as twigs or leaves that may have around the gutter• Cleaning of the out smaller materials followed by flushing of the gutter lengths with a hose.In cases where the water fails to drain after the three above steps, there could be an issue with a downspout strainer. If it is clogged, it would be necessary to check the drain end then install a nozzle that fits on the hose to lock it at full pressure. The cleaner then turns on the water and feeds the tube from the bottom of the spout. Once the clearing at the downspout is complete, one attaches the downspout and flushes the entire gutter once more and eventually cleans the downspout strainers. Gutter Maintenance and Repair: If neglected, gutter carries heavy debris as well as heavy water which can damage the gutter’s pitch. This clog could further cause flooding around the basement thus damaging the foundation of the building.Repair of gutters is necessary in cases where cleaning does not entirely flush out the standing water. Such blockage or slow drainage may be as a result of incorrect sloping of the drain and may require adjustment to slope at a ¼ inch in every 10 feet towards the downspout.There should be no leaks in the gutter, and if any may arise, its immediate repair should be done. It is vital to ensure that the end caps, seams, and the gutter materials are free from holes or leaks. Heated Gutters: Heated gutters help in the prevention of ice dams or snow build-up that may occur during winter. They are a convenient way of preventing water damage that may arise from the ice dams and avoid mildew or mold in the ceiling.